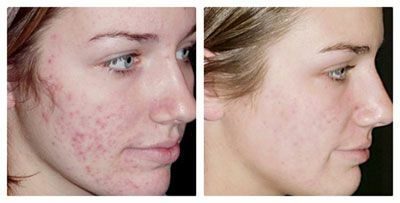 Acne is a condition of the sebaceous (oily) glands. Each gland produces oil (sebum), and is connected to a canal called a follicle that contains a fine hair. This oil normally empties onto the skin surface through the opening of the follicle called a pore. When the oil, hair and skin cells fill the pore, it produces a plug, which is an early sign of acne. This plug prevents the sebum from reaching the surface. This plug ignites the growth of bacteria or Propionibacterium acnes (P Acne) in the plugged follicles. Inflammation soon follows from the chemicals and enzymes produced by the bacteria. What is the recommended treatment? For effective treatment, and for fast and best result we combine two treatment: Microdermabrasion and laser treatment. Microdermabrasion: By using Hard Diamond head Microdermabrasion, gently but effectively exfoliate the top dead layers of the skin. This treatment not only leaves the skin smooth, supple and healthier looking, it also helps unplug the skin pores and prevents the accumulation of excess skin oil in sebaceous glands. this treatment takes less than 30 minutes, is non-invasive, pain-free and requires no down time. The number of treatment sessions required vary depending on skin type and condition. Results are gradual but highly effective. Most people experience softer, smoother skin immediately after their first treatment. 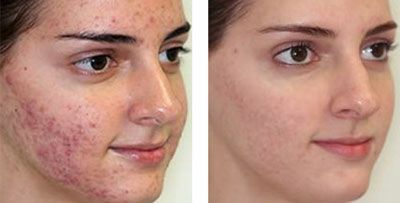 Laser Treatment: The laser works on acne by gently heating up the sebaceous (oily ) glands found in the upper layers of your skin. The heat produced in the glands causes a reduction of oil production and thus the number of active acne lesions. In addition to treating overactive sebaceous glands, this non-ablative procedure will also lead to collagen remodeling of the treated areas, and improvement in acne scarring. This combination results in maximum patient comfort in addition to treatment consistency and reproducibility.